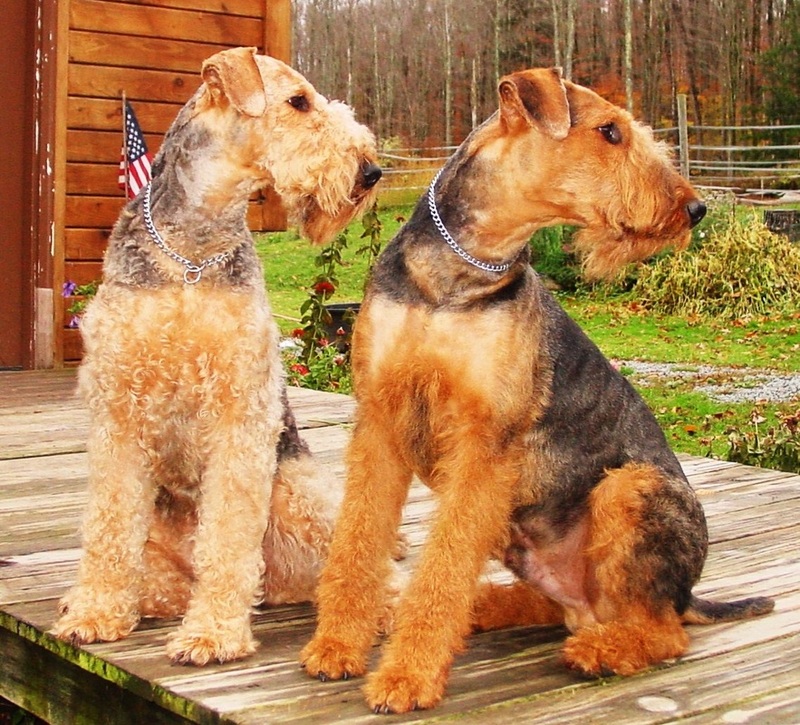 Airedales have a wonderful mind, and they use it often. 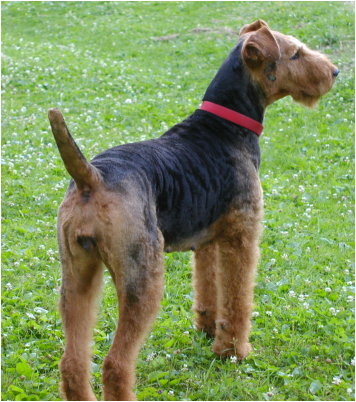 Trust your Airedale if he is telling you something is out of place. Be humble enough to recognize you may not sense what he does. 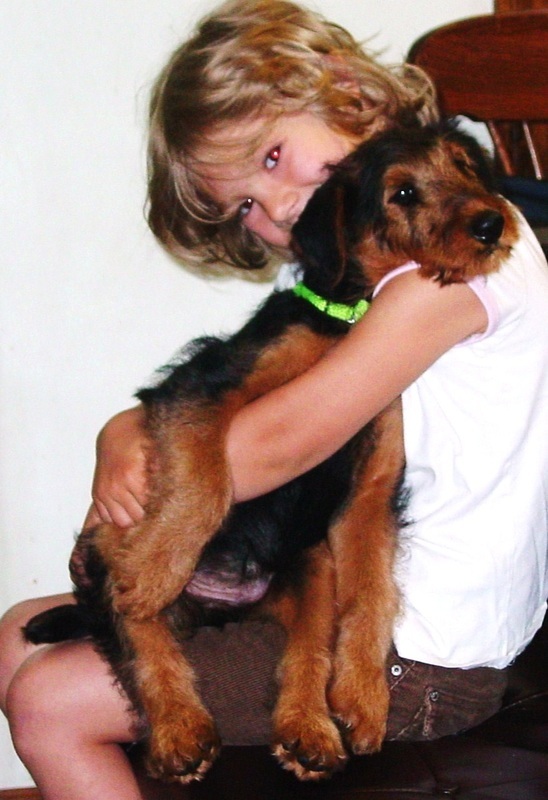 Airedales are not for everyone. "I am ready to take on the world!" ~ They have 'attitude' and it shows. 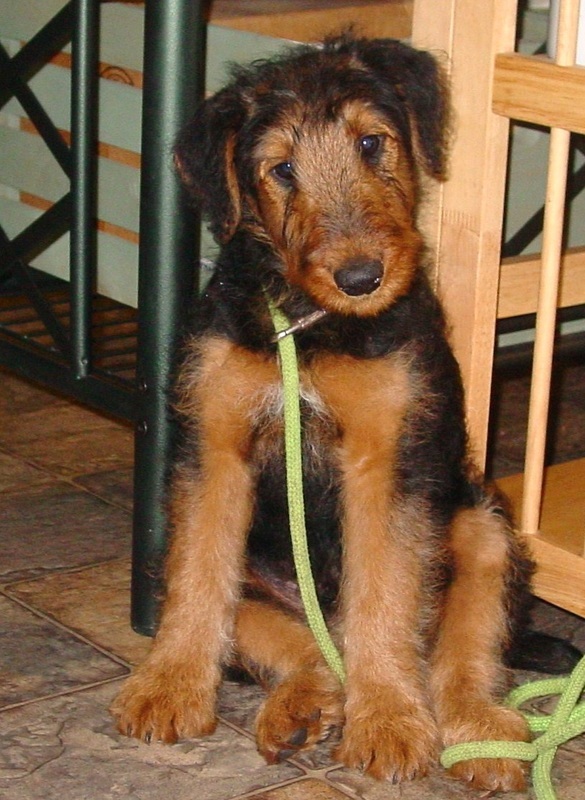 Airedales are tenacious, gregarious, with a "can do" never quit attitude. Whether they apply that personality to patrolling your yard (killing any rodent that dare show it's face), or scouring the counters for the turkey carcass you left out, they WILL DO what they set their mind to! The trick is to train early for a life long devoted sentinel and protector. that something is going on outside. 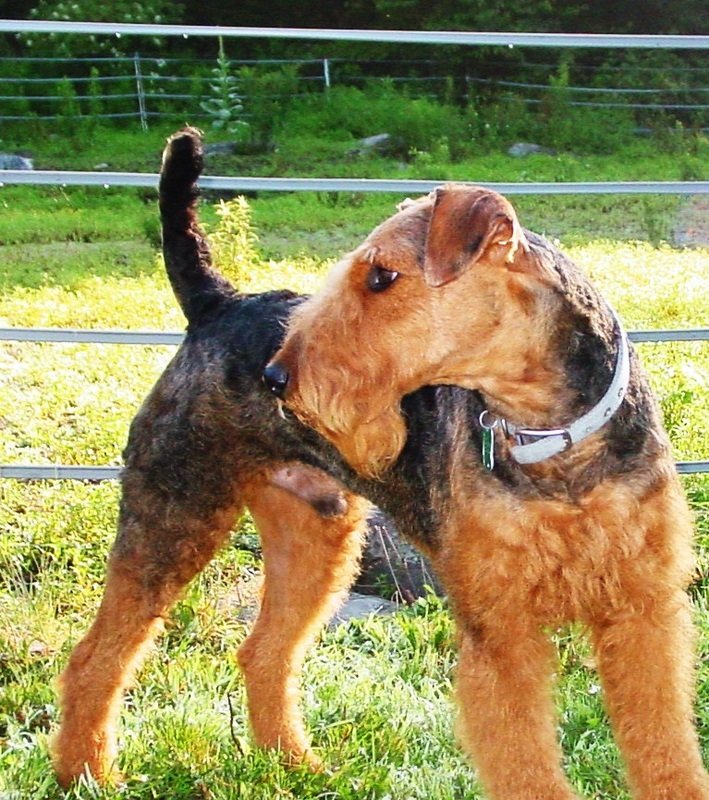 Most Airedales can be strong willed and independent, which is what makes the Airedale what he is. Few breeds manage to be as Stylish, Noble, Athletic, Vigilant, Protective... and Goofy! 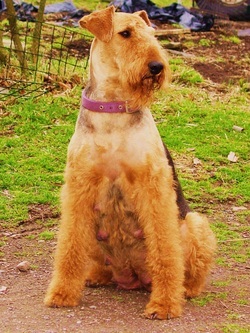 as the Airedale. 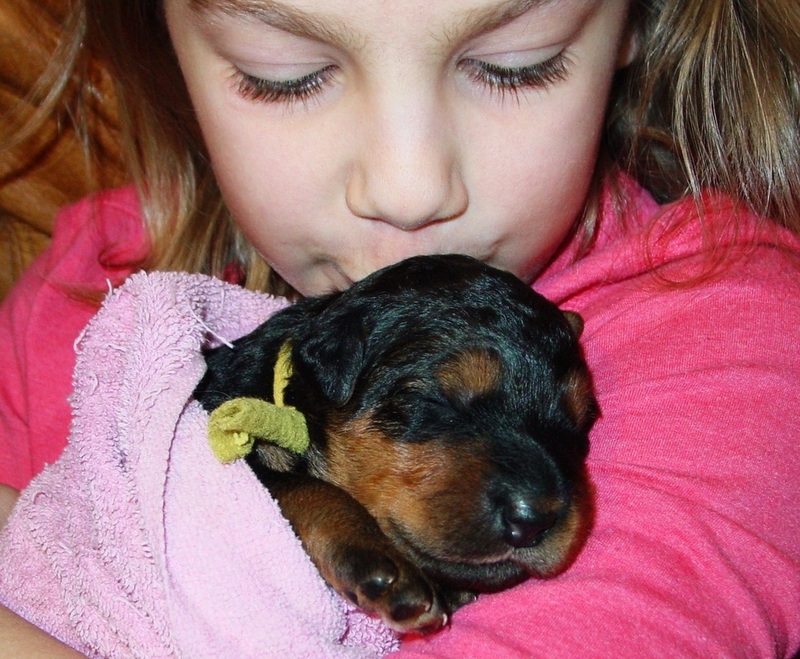 "DO YOU SPEAK PUPPY ?" But life hits you out of nowhere and barely leaves you holding on. There's freedom in surrender, lay it down and let it go. You're not alone, stop holding on and Just Be Held. If your eyes are on the Cross you know I always have, and I always will.